Adrian J. Halkes draws on his over 30 years of experience in Hong Kong ranging from law enforcement to the commercial sector and is an outcomes focused lawyer. He is a specialist in construction industry sector environmental, safety and compliance law where he manages complex incidents and investigations, together with being a trial and appellate advocate. Adrian has also been at the forefront of liquor licensing law and food & beverage law in Hong Kong for almost two decades. His regulatory and compliance practice has seen him advising the Hong Kong Government through to SME operators and listed companies on legislative change, business establishment plus major acquisitions and takeovers. His knowledge in respect of immigration law, Inland Revenue regulation, the Municipal Services and Administrative Appeals Boards and the plethora of Government and statutory regulation in the HKSAR, sees him frequently consulted before a single step is taken to open a business or to acquire one. 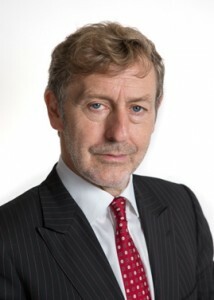 Adrian has a wealth of experience as both a Solicitor and Barrister being known for his strategic approach to issues and his understanding of the complex business, legal and forensic challenges faced where criminal law meets regulatory control in a commercial context, which can involve Police, ICAC, SFC and Government investigations and ultimately defence at trial. His advocacy practice in the courts, tribunals and administrative appeals boards of Hong Kong is well known and he travels extensively for clients not only within Asia Pacific but also Europe having appeared in the courts of the Netherlands and Switzerland concerning banking and tax matters plus in America concerning evidence gathering. He has spoken publicly as an advocate in diverse forums including the Legislative Council of Hong Kong, the Ambassadors Round Table on IPR in China, APEC-ASEAN+3 in Tokyo, seminars in Shanghai, Zhejiang and at sessions of the NCAC in Beijing on Internet Regulation. Adrian acted in Asia for the Motion Picture Association of America in the recently concluded World Trade Organization IPR dispute between the USA and China managing core aspects of the case which in 2012 resulted in major market access improvements for the US film industry in China. His representation of Nancy Kissel and other defendants in selected complex criminal matters is well known together with multiple successful Judicial Reviews in respect of the actions of the Director of Health and other HKSAR statutory bodies. He has also acted in a number of death inquires in respect of workplace deaths and accidents together with consumer product litigation and the representation of professionals including stockbrokers, corporate directors and medical practitioners. Lead Counsel in Asia Pacific for the Motion Picture Association of America in relation to the WTO IPR case brought by the USA : "China – Measures affecting the protection and enforcement of intellectual property rights" (DS362). Multiple successful Judicial Reviews in relation to the conduct of the Director of Health and a related Appeal body resulting in total reversals of all adverse decisions; Counsel for four separate Appeals and two applications for leave for Judicial Review; Junior to Mr. Paul Harris S.C. at the substantive hearing including HCAL 66/2008. A pivotal Judicial Review that decided the ambit of the powers and functions of the Municipal Services Appeals Board in relation to Liquor Licensing Appeals. Appearing as Junior to Mr. G.L.X McCoy S.C. in the matter of the Appeal of Nancy Kissel; accused of the murder of her Merrill Lynch banker husband. Twin Municipal Services Appeals that fundamentally changed the food and beverage landscape of the SoHo area of Hong Kong; liberating liquor sale from 11pm to 2am and allowing premises to operate with modern open frontages until 11pm as opposed to the previously restricted 6pm. Definitive contempt and stay of proceedings related matter concerning an alleged multi-million dollar fraud that determined the interaction of civil and criminal cases and related litigation in the complex commercial crime environment; and subsequent District Court criminal proceedings. Request a full CV and list of cases and clients of note by email: click here adrian@halkes.com.